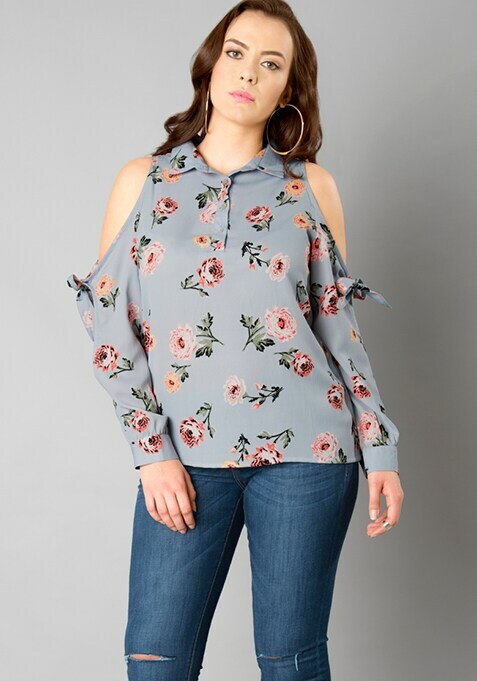 This floral blouse in bluish-gray is like a dream come true! With it's long slit sleeves along with the tie detail, half front placket and shirt collar neck, you'll be flying high on fashion. Work It - This will look fabulous with pencil skirt and block heel sandals.